March 26, 2018 has come and gone. PMI has changed the PMP exam in accordance with the PMBOK Guide sixth edition. The 6th edition Guide is now the main reference for the certification test. There are many differences between the latest edition of the PMBOK Guide and older 5th edition. Agile is the new buzzword. Sixth edition comes bundled with the Agile Practice Guide. Hey! You would already know about these things. And you are somewhat worried about them. Don’t worry! The PMP exam content outline has not changed. The exam structure is still the same. This article is useful for those who were following PMBOK Guide fifth edition but never took the exam or failed the exam. After reading this article, you should enroll into a new training and re-start your preparation. But if you have just started the exam prep, you can ignore this article and refer the latest study material. You should buy a good PMP book, enroll into the best training and do practice tests from a top simulator. Let me throw some light on what has changed, what remains same and how does the changes affect you. Let us first deal with the bad news. 1. PMI has bundled PMBOK Guide with Agile Practice Guide. This has caused immense confusion among the test taking community. More on this later. 2. There are new sections and new terminology in the PMBOK Guide. There is a completely new chapter on the role of PM. Agile terminology and approach has been added to each knowledge area. You will need to study extra. 3. The ITTOs have been overhauled. There are lot more Inputs, Tools & Techniques, and Outputs (ITTO) than the previous edition. The Commonly used tools have been grouped together because of their usage and intent. They are likely to make the exam prep difficult. 4. Those who took a test based on 5th edition and failed will have to now appear for 6th edition based test. The bad news stops here. Period. So, you will have to study extra but that is not too bad. Let’s look at some positive things. 5. The PMP exam is not based on the PMBOK Guide. It is based on the Exam Content Outline (ECO) that changed only after PMI commission Role Delineation Study (RDS). The ECO is not changing and is unlikely to change for another 2 years. 6. There is no change in the structure of the exam. The number of questions, percentage split across the domains, and scoring methodology remains same. 7. The exam application process, mechanism to conduct the exam and fee is not changing. Are There Changes To The PMP Exam Because Of Agile Practice Guide? The Agile Practice Guide is definitely relevant for the PMI-ACP exam. But PMP aspirants can take it easy. PMI has confirmed that the content of the new PMP exam will be determined by the current ECO. Recent test takers have also not seen anything untoward. However, things can change in future. What was your experience with the exam based on the PMBOK Guide 5th edition? Do you think the exam has become tougher? When are planning to take the new exam? 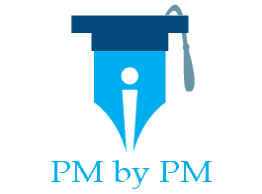 Planning to take the PMP exam in Jan 2019. Are there are plans that the next edition guide is coming anytime soon ? Hi Vijay, New edition of the guide is published every 4-5 years. Good luck with the exam. I got trained in PMBOK ver 5. This gives me some confidence. Will do the exam next year.